Ndhiwa is a rural region in Kenya where the majority of the population is almost entirely dependent on subsistence farming. Over 63% live in extreme poverty and 50% of girls drop out of school before completion. Team Kenya has developed an agricultural demonstration site to deliver training to women that increases access to food, grows family incomes and improves access to primary and secondary school education for girls. Thanks to this programme, there are now more girls than boys completing primary school in our partner schools and every daughter of a trainee was able to go on to secondary school last year. We have trained over 200 women like Mary to date and we continue to expand our reach in the area. 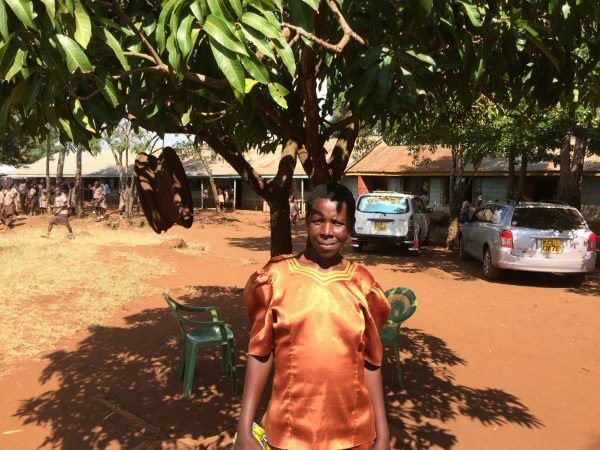 Last year Mary received agricultural training and a small loan from Team Kenya. Prior to this Mary was living on less than £5 per month and struggling to support her five children. After receiving training and access to finance Mary was able to begin farming her 2 acre plot of land. Using the profit from her first harvest Mary invested in a small business buying and selling cereals. Mary now has an income of over £300 per month! This income has allowed Mary to send all of her 5 children to secondary school for the first time this year, and has helped to improve her own and her family’s quality of life. £40 could fund agricultural training, seeds and tools for one woman, like Mary, and help to transform their lives.